Duration: 15 days – 14 nights. Arrival at Entebbe International Airport where you will be met by representatives from Uganda Wildlife Scene Safaris, then later we will transfer you to Kampala where you will arrive to check in to your accommodation relieve from Jet lag dinner and overnight at Villa Kololo or Cassia Lodge or Lepetit Village or Casa Miltu Hotel or Namirembe View Guest House. Day 2: To Bwindi Gorillas National Park: This morning, we will begin early and set off for Bwindi National Park , we will stop over at the Uganda Equator and take pictures, later proceed to have a full warm lunch in Mbarara town. After lunch we will proceed to Bwindi through the Beautiful rolling hills of Mafuga Forest normally referred to as the little Switzerland of Africa” arrive at Buhoma and check in at Engagi lodge or Haven Lodge or Buhoma Community Rest Camp. Day 3: Tracking the mountain gorillas: After an early breakfast you will head to the park headquarters and get the briefing from the chief park warden get into your groups and later its on to your adventure to meet these thrilling gentle giants of Bwindi National Park. 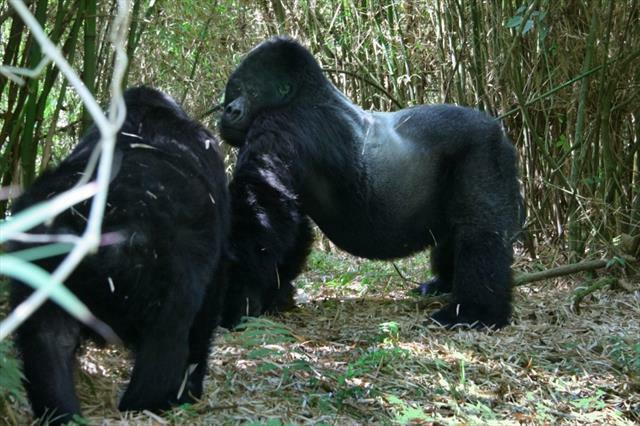 Tracking time varies according to the movements of these giants it could take from 30 mins to 5hrs so we highly recommend that you are in a good physical condition to track these gorillas. There are porters at the briefing point and if you need one to carry your equipment please do inform the warden and one will be readily available at a fee of $20 USD. 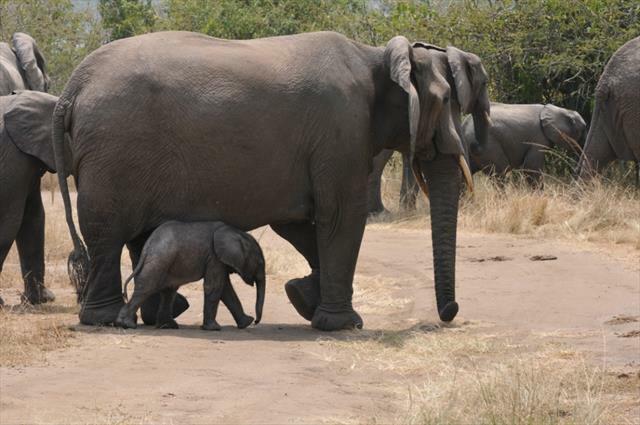 After tracking you will get back to the camp and relieve those special moments with the group. Dinner and Overnight at the Engagi lodge or Haven Lodge or Buhoma Community Rest Camp. Day 4: After breakfast departure to the southern sector of Queen Elizabeth National Park, Ishasha, famous for the last African breed of the tree climbing lions. Arrive at the lodge in time for lunch. Relax. At 15:30 go for a game drive in the park in search of these fascinating felines, forest elephants and several species of antelope are present. Return for dinner and overnight at the Ishasha Jungle Lodge or The Savannah Country Resort or Kashunju Guest House. 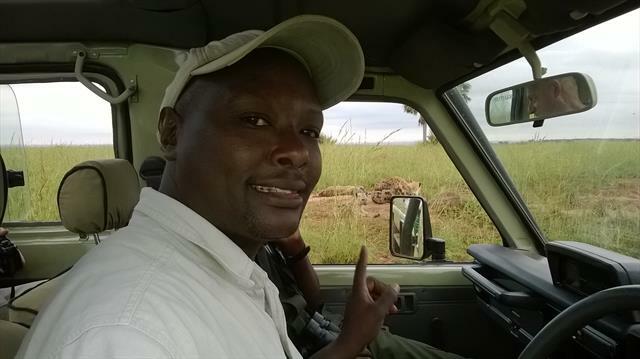 Day 5: After Breakfast, prepare to proceed to Queen Elizabeth National Park Northern Sector, arrive by lunchtime. Check in to your accommodation, and have lunch. After lunch you will go for an afternoon game drive which will bring you back to the Lodge by 7:00pm. Refreshments will be served later meal plans dinner and over night at the Mweya Safari Lodge or Katara Lodge or Engazi Lodge or Bush Lodge or Uganda Wildlife Authority Accommodation. Day 6: After a warm wake up coffee at 6:15am at 6:30am start your early morning game drive to be in time to see the big cats in action. Game drive lasts for 3-4 hrs get back for breakfast relax and lunch. 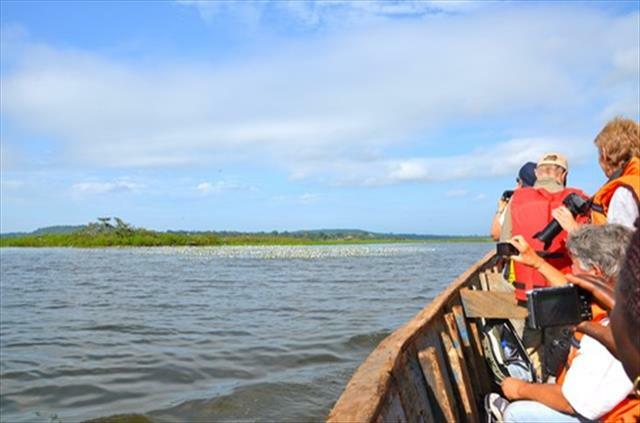 At 2:45pm Take the boat cruise on the Famous Kazinga Channel which connects Lake George to Lake Edward. The cruise on the water will last 2 hrs return by 5:00pm embark on the evening game drive which will bring you back to the hotel by 7:00pm. Refresh, meal plans dinner, campfire and overnight at Mweya Safari Lodge or Katara Lodge or Engazi Lodge or Bush Lodge or Uganda Wildlife Authority Accommodation. 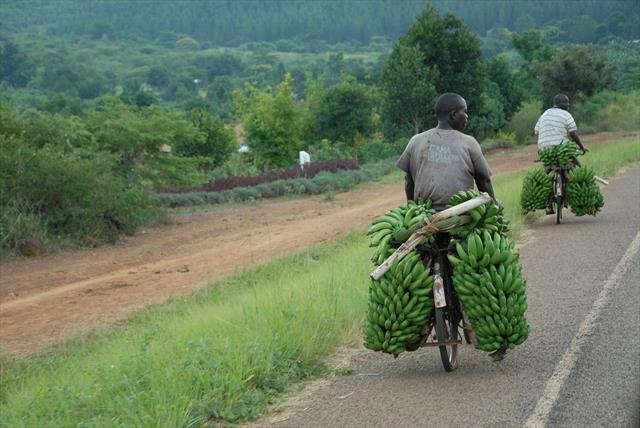 Day 9: After breakfast prepare to leave this beautiful part of the World and head to Murchison Falls National park. The drive will take you through Kyenjojo, Kagadi and Hoima towns, the finally arrive and settle in dinner and overnight at the Paraa Safari Lodge or Pakuba Safari Lodge or Murchison River Lodge or Red Chilli Rest Camp. Day 10: After an early breakfast we shall go for and Early morning game drive embark on a guided game drive with the ranger. A drive at the Delta will yield; Elephants, Buffaloes, Uganda Kobs, Giraffe, waterbucks, Hartebeest, Oribi, Lions, warthogs, Hippos, a variety of primates as well and on a lucky the Leopard. Get back for lunch. 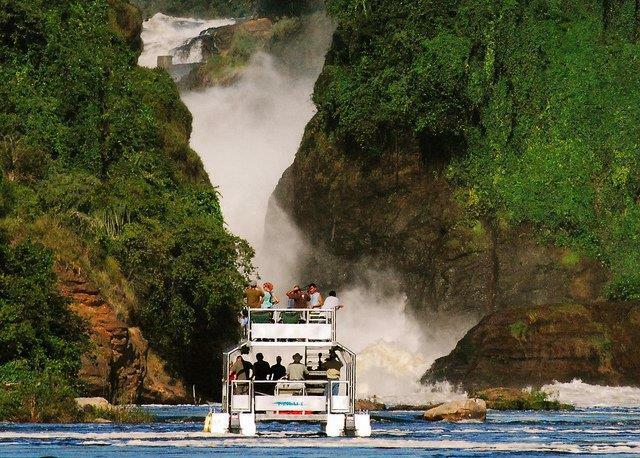 At 2:00pm take a memorable launch cruise on the Nile to the bottom of the falls as you view game at close quarters. This is the best bet for Crocodile and Hippo and if lucky , the whale headed (Shoebilled) Stork. Take a hike to the top of the Falls where you will take a view of the Nile in its 3 forms. As you descend to the drop, you will experience the deafening roar of the Murchison falls. Take pictures and later return to your accommodation. Refresh and relax, meal plans dinner and overnight at Paraa Safari Lodge or Pakuba Safari Lodge or Murchison River Lodge or Red Chilli Rest Camp. 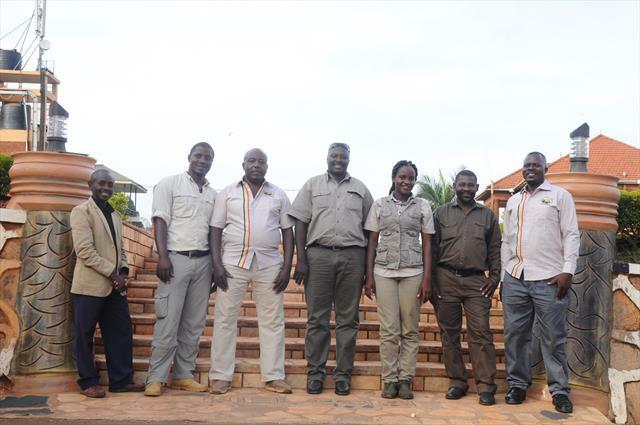 Day 11: Kidepo National Park: After an early breakfast we will depart Murchison Falls National Park and head to Kidepo through the big town of Gulu, then we will have a lunch stop In Kitgum. After lunch proceed through the rocky areas of Gilgil and Karenga normally reffered to as the Texas of Uganda, and finally arriving at Kidepo National Park by early evening. Check in to your accommodation. Refreshments dinner and overnight at the Apoka Safari Lodge or Ngamor Wilderness Camp or U.W.A Bandas. Day 12: After breakfast, proceed for an early morning Game drive, which will take us 3 hrs, after which we will return to the Lodge for Lunch. After Lunch we will proceed to go and visit the community of this area. These communities are the tribes called the “ Karamajong Warriors” Famously known for their love of cattle. We will visit their “ Manyatta’’ and see their life style they are recognized by the engravings which are on the facial skin and are famous for their traditional dances characteristics. Later return to the lodge for refreshments, dinner and overnight at Apoka Safari Lodge or Ngamor Wilderness Camp or U.W.A Bandas. Day 13: Rhinos at Ziwa: After breakfast we will leave Kidepo and head to visit the Rhinos of Ziwa. We will stop in Kitgum or Gulu for a lunch break after which we will arrive in Masindi and check in to our accommodation. Refreshments will be served later meal plans dinner and overnight within the vicinity of the Ziwa Rhino Lodge or Amuka Safari Lodge. Day 14: After an early breakfast we will take the short drive and head the main offices of the Ziwa Rhinos ranch after which we will get a briefing on approaching the Rhinos at Ziwa. The guided short walk will lead you to the Rhinos, the experience and thrill of walking by the side of these animals in this impressive piece of wooded savanna, coming to take pictures from a few meters is an unforgettable experience. Later you will return to the main offices of this reserve and fill in your comments. Have lunch and then we will Proceed back to Kampala. Arrive by early evening check in to your accommodation. 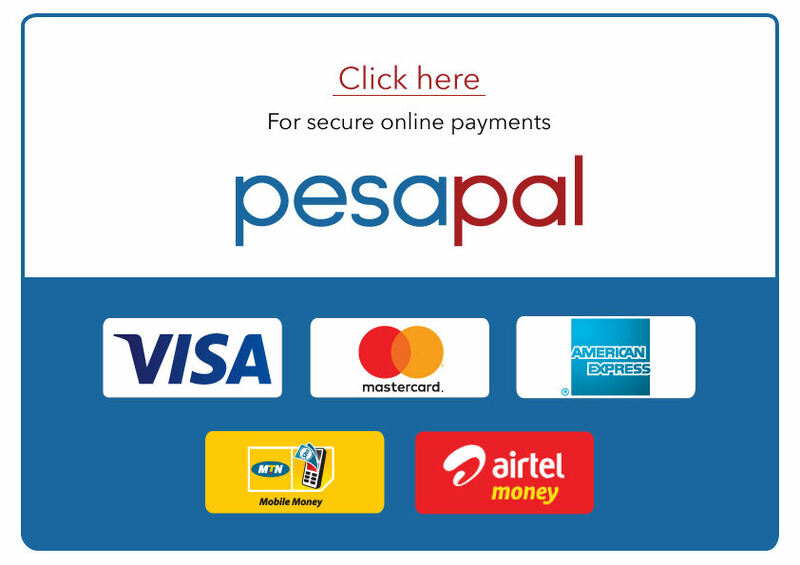 Refreshments meal plans dinner and overnight at the Villa Kololo or Cassia Lodge or Lepetit Village or Casa Miltu Hotel or Namirembe View Guest House. Day 15: Breakfast at leisure after which we will go for a short city tour which will involve visiting the colorful fresh markets of Kampala and also do some African souvenir shopping at the African crafts center. Have lunch and then prepare for the Airport transfer and connect to your home bound flight. End of Safari.